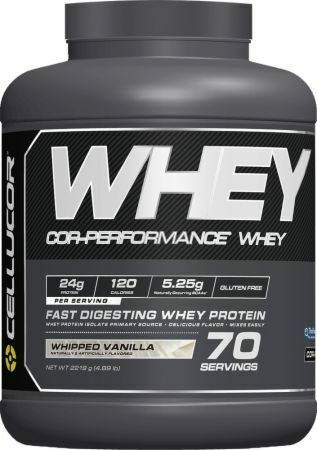 Cellucor COR-Performance Whey - 1 Lb. (Cinnamon Swirl) for $6.99 at Muscle and Strength! Anytime you can get Cellucor’s top-rated protein here for under $7.75/lb, it’s worth a look! Nearly all of the flavors are fantastic, but we just can’t stop raving about the specialty flavors in cinnamon swirl, red velvet cake, and s’mores! Price Per Unit to get on Deals Page: $7.75 per Lb. Price Per Unit to generate email blast: $7.25 per Lb. Cellucor COR-Performance Whey - 1 Lb. (Cinnamon Swirl) for $12.00 (Buy 1 Get 1 FREE) at Muscle and Strength! Cellucor COR-Performance Whey - 1 Lb. (Cinnamon Swirl) for $11.99 (Buy 1 Get 1 FREE) at Muscle and Strength!